This post, written by C3’s Ina Andersson, is based on a piece of work carried out by C3 creating case studies showcasing workplace health initiatives across a range of companies and organisations. We’ll be sharing these case studies through our blog. 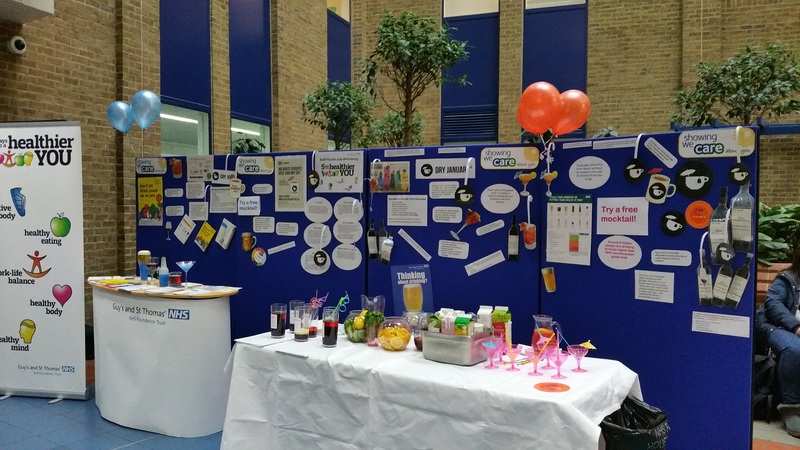 The Guy’s and St Thomas’ NHS Foundation Trust (GSTT) has provided a health and wellbeing programme for its staff members since 2012, entitled ‘5 ways to a healthier YOU’. The health programme includes initiatives to improve employees’ physical and mental health, including initiatives to provide better work–life balance: flexible working hours or part-time working from home, as well as providing family and childcare support services for staff. Guy’s and St Thomas’ NHS Foundation Trust says that research presented in the Boorman Review in 2009 shows that happy and healthy staff provide better care for patients. 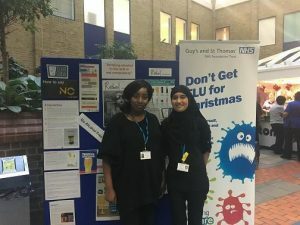 Guy’s and St Thomas’ NHS Foundation Trust offers staff a range of opportunities to promote their health and wellbeing. 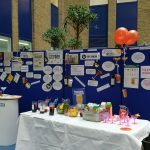 It has a health and wellbeing programme called ‘5 ways to a healthier YOU’ to support and encourage staff to make good lifestyle choices and lead healthier lives, including employees’ mental wellbeing (cognitive behavioural therapy and counselling is available) and their work–life balance. Across all the Trust’s sites, which include St Thomas’ Hospital, Guy’s Hospital, Evelina London Children’s Hospital, the new Cancer Centre at Guy’s, and a range of community health centres in Lambeth and Southwark, as well as satellite centres for services including respiratory medicine and kidney dialysis throughout South London and South East England. The health and wellbeing programme is run by a full-time member of staff with a forum of leaders within the Trust. It is available to all 15,000 Guy’s and St Thomas’ staff. The health and wellbeing programme has been ongoing since 2012. The health and wellbeing programme is partly supported by Guy’s and St Thomas’ Charity. The Trust Communications Team promotes the programme through a range of internal communications channels. The Trust actively encourages a good work–life balance, which is one of the themes of the ‘5 ways to a healthier YOU’ programme. Dame Eileen Sills, Chief Nurse at the Trust, is an ambassador for this part of the programme and the Trust encourages it by offering a suite of HR policies and procedures that facilitate flexible working hours, including part-time hours or working from home. It also provides family and childcare support services for staff, including two workplace nurseries and childcare vouchers. As an example of a specific initiative, in September 2015 the Trust initiated ‘Email-free Fridays’ on the first Friday of every month, which means that where possible on these days internal emails are sent only if there is a clinical or environmental risk. It encourages employees to take a moment before sending an email and consider if there is another means of communication, and above all it fosters an environment where people are encouraged to speak on the phone or meet and discuss the issue rather than emailing. The initiative has received a very positive response, with a significant reduction in internal emails sent on the first Friday of each month. The Trust introduced a staff dietician to whom staff can self-refer for advice on any dietary question including support with weight loss, and there is also a focus on promoting healthy food options. Physical activity is encouraged and the Trust encourages staff to act as role models to each other and patients. The Thomas Guy Club, a sports and social club, helps staff balance their work with taking time out to relax, get fit and have fun. As members of the club, employees can access a gym with qualified fitness instructors, regular aerobic classes, and special courses such as yoga. There is an on-site bar for a catch-up after work, a swimming pool and a sauna. Staff can also play team sports ranging from cricket and squash through to five-a-side football. The club also arranges social events such as karaoke and quiz nights. The Trust also runs health and wellbeing roadshows where external stakeholders are invited to set up stalls. The roadshows run every couple of months, usually at one of the main sites over lunchtime. They are widely advertised to staff and focus on a specific health aspect. Previous examples include a physical-activity roadshow with local sports clubs providing taster sessions. The health and wellbeing programme is supported by the commitment and engagement of a key group of staff members and trade union representatives, who are highly engaged. The Trust works with a health economist and the programme is in the process of being evaluated. All of the interventions have evidence-based outcomes against which they are measured and the Trust seeks both qualitative and quantitative results. Between 2010 and 2013, more than 350 employees used the self-referral physiotherapy service, 50% of whom said that it stopped them having to take time off work. 110 staff members took part in a subsidised WeightWatchers scheme (which ran before being replaced with a staff dietician) with a total weight loss of over 40 stone, and 620 employees participated in the 2013 Global Corporate Challenge – walking a total of almost 600,000 kilometres and burning off 37 million calories. In 2014, 77% of those who accessed physiotherapy reported less time off work as a result, 72 staff quit smoking, those staff who participated in the Global Corporate Challenge walked the equivalent of walking around the world 21 times and lost 221 stone between them, and more than 500 staff took part in the regular lunchtime walks. The Trust was awarded ‘Excellence’ status in the London Healthy Workplace Charter in 2012. A September 2017 update from Public Health Nurse Manager, Sarah Bexley, reports that the programme has recently been evaluated for a second time and the final report is being finalised currently. Because the Trust is large and spread over many sites, one of the main challenges has been reaching all employees. The Trust is constantly evaluating how best to communicate with ‘hard to reach’-groups, for example those who do not have access to email or are working in the community. Going forward the Trust is focused on widening the reach of the health and wellbeing programme, ensuring that the evaluation is robust, and continuing to refine the scope of the programme with specific interventions planned to meet need. This work was carried out by C3 and supported by the Health Foundation.